Gallery Players’ comic and progressive retelling of The Princess and the Pea will make you rethink your expectations of fairy tales. 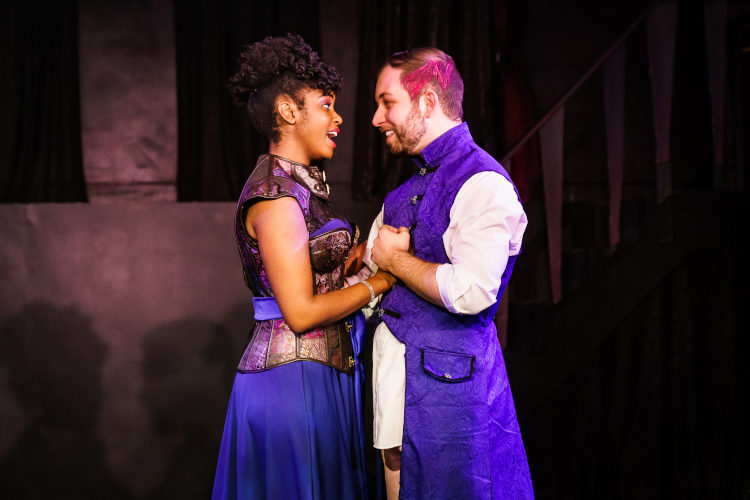 Once Upon a Mattress is the story of the brave and strong Princess Winnifred who comes to the rescue of a kingdom in need of a new outlook on love, leadership, and life. 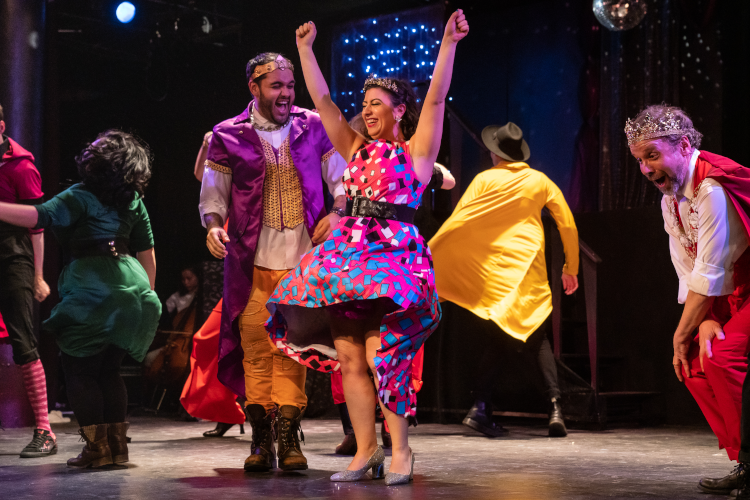 Filled with hummable tunes, raucous comedy, fabulous dance numbers, and a happily-ever-after, this musical will appeal to audiences both young and old. An inversion of the usual fairy tale plot, it is the sweet and sensitive Prince Dauntless who is waiting for a princess to rescue him and help him find true love. Meanwhile, the entire kingdom is subject to a law that keeps anyone from being wed until the prince marries. The realm is ruled by a fabulous but overbearing queen and a non-verbal king who are at odds as to what their son and (by extension) the kingdom truly needs. 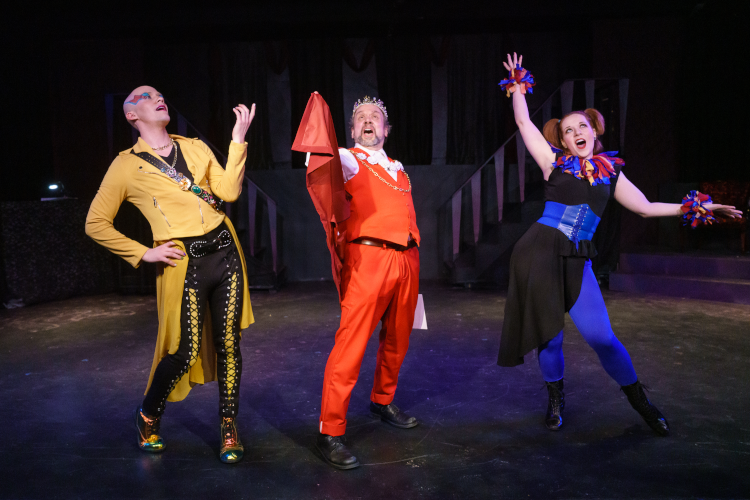 The story is filled with other colorful characters such as a traveling minstrel, a court jester, a wizard, and a castle full of courtiers who are desperately in love but unable to follow their hearts. That is, of course, until Princess Winnifred shows up at the castle door hoping to fulfill her own romantic dreams of finding someone to love her just as she is. 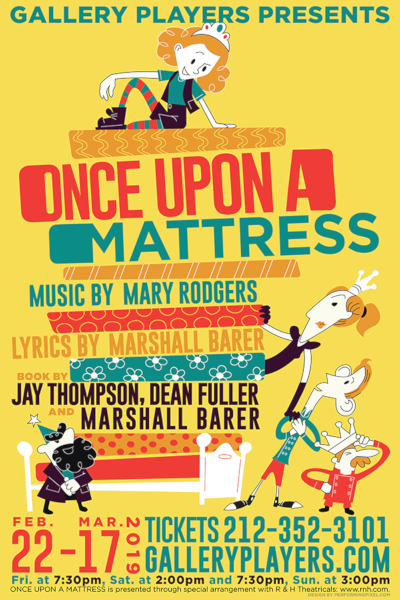 Once Upon a Mattress premiered on Broadway in 1959 after its successful Off-Broadway run. Featuring the compositions of Mary Rodgers and starring Carol Burnett in her breakout role, this musical created one of the first well-known atypical princesses in popular culture. Princess Winnifred and the story of a lovelorn kingdom is so beloved that it has been adapted for a televised production in 1964, 1972, and 2005 and has boasted such talents as Zooey Deschanel, Jack Gilford, Elliot Gould, Matthew Morrison, Denis O’Hare, Bernadette Peters, Tom Smothers, and Tracey Ullman. In keeping with the original production’s progressive stance on love and gender roles, we are creating a version of this fairy tale for today. Gallery’s production will be a feminist, queer interpretation of the musical wherein we are entirely loyal to the text while creating a fairy-tale fantasia where love is love, the gender binary is deconstructed, and the world is as diverse as our own. In this kingdom, gender does not dictate one’s societal role. Anyone can be a knight, a lady in waiting, a jester, or a wizard. Gallery’s goal is to project a vision of inclusion in the same spirit as such recent musicals as SpongeBob SquarePants: The Broadway Musical, Head Over Heels, and the Broadway revival of Once On This Island (to name a few). Aiming to ensure that the process of creating a feminist story be matched behind the scenes, the production/creative team is comprised of female-identifying and trans/gender individuals.